Preheat oven to 375-degrees. Combine dry ingredients into a bowl. Whisk egg and milk in another bowl. Dip each chicken in the egg mixture and then the dry mixture. Repeat 1-2 times. Put chicken on a baking sheet lined with foil and sprayed with cooking spray. After you have a full sheet, spray the chicken with cooking spray. Put in oven for 15 to 20 minutes or until chicken is cooked through. While the chicken is baking, combine the hot sauce and butter in a sauce pan until butter is melted. 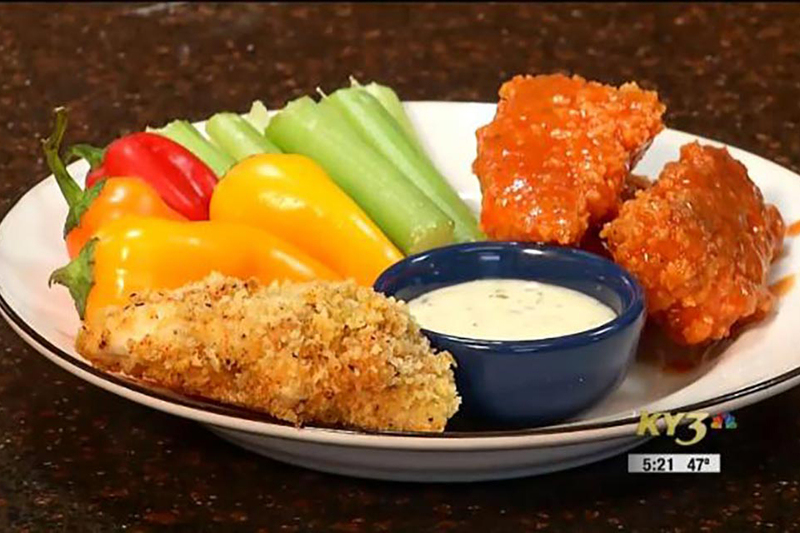 Dip the chicken in the sauce and put on a serving platter with a side of ranch or blue cheese dressing. Serve with celery, carrot sticks or sweet peppers.